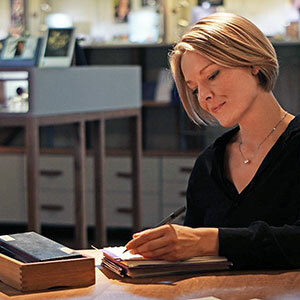 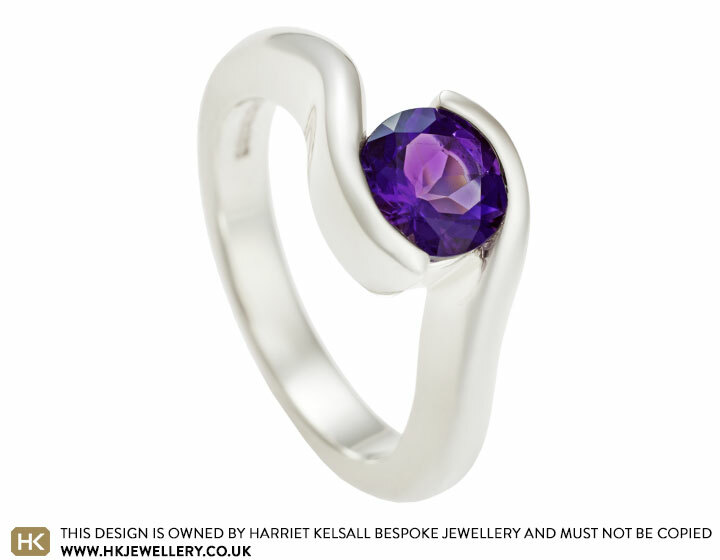 Michael and Bev wanted to commission an engagement ring together so they came to Harriet Kelsall Bespoke Jewellery because they loved the fact that every design is unique. 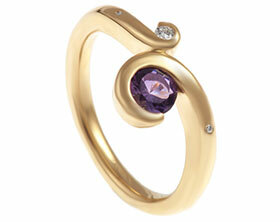 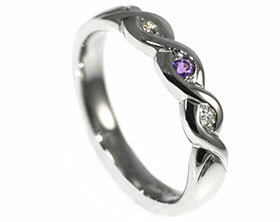 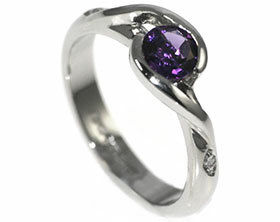 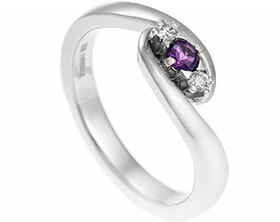 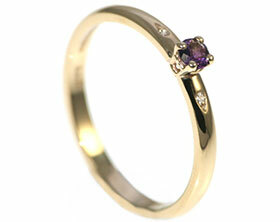 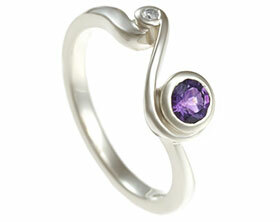 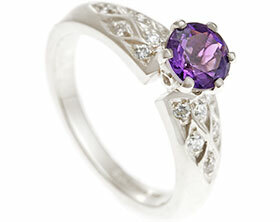 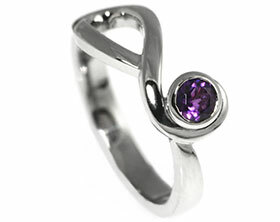 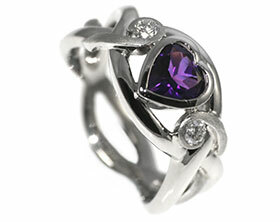 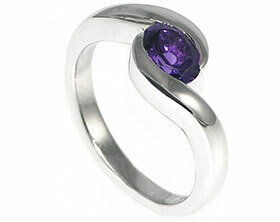 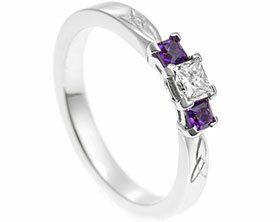 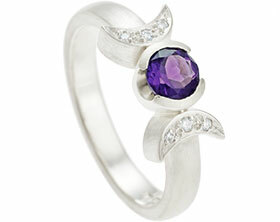 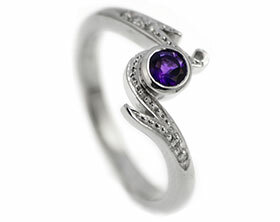 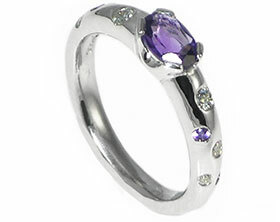 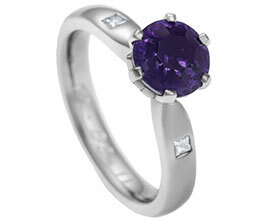 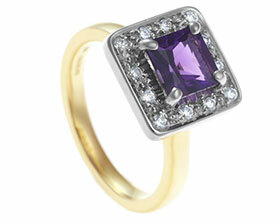 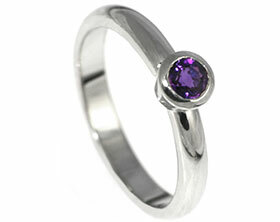 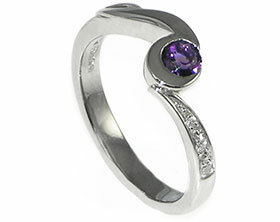 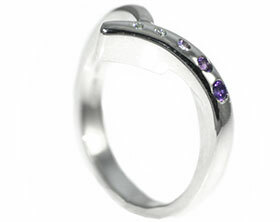 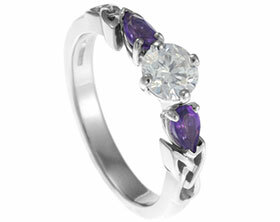 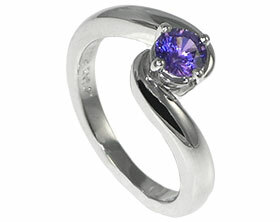 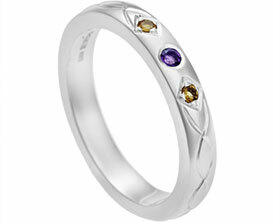 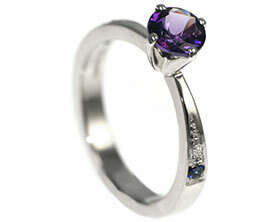 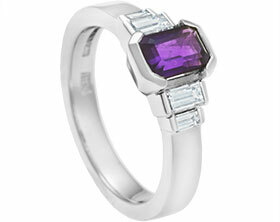 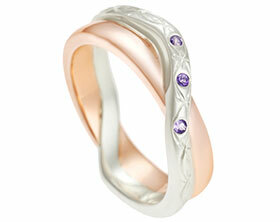 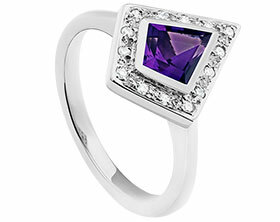 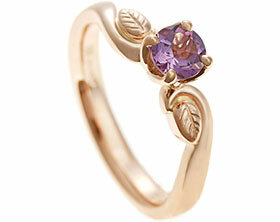 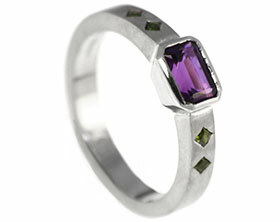 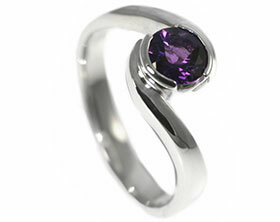 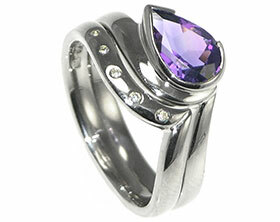 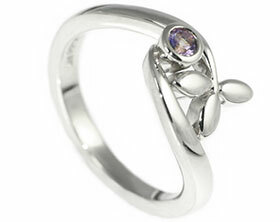 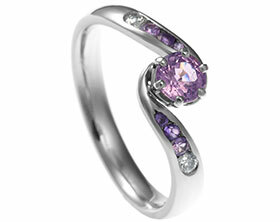 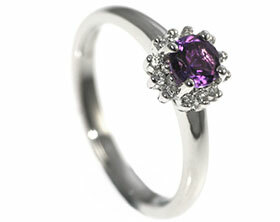 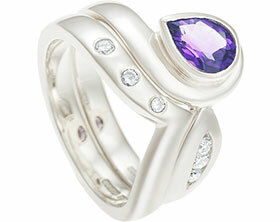 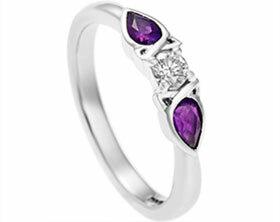 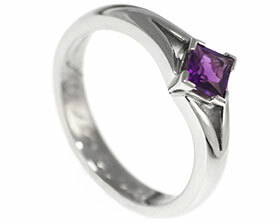 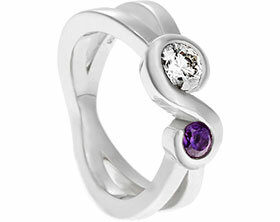 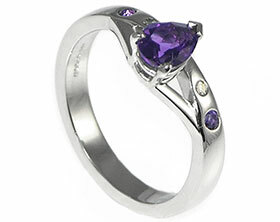 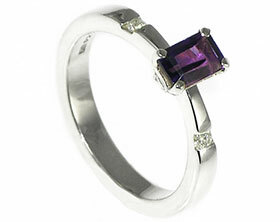 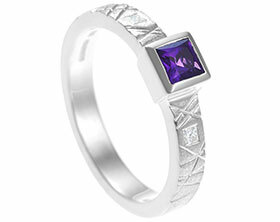 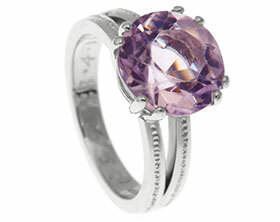 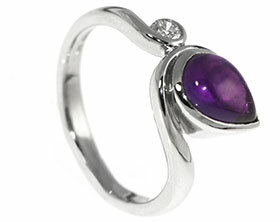 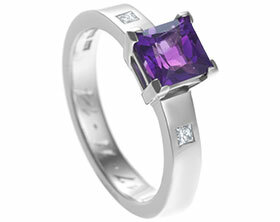 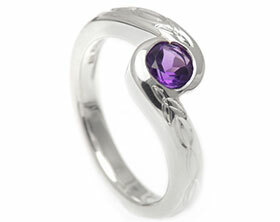 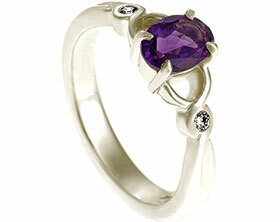 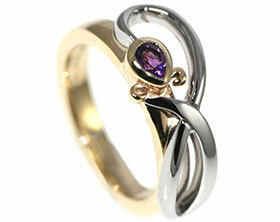 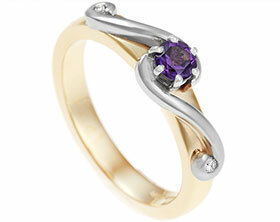 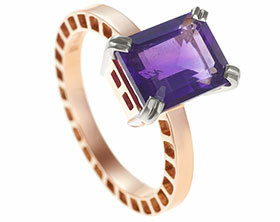 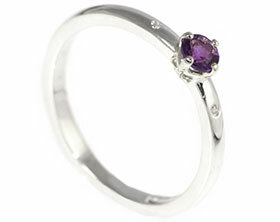 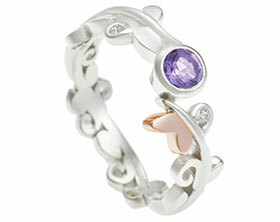 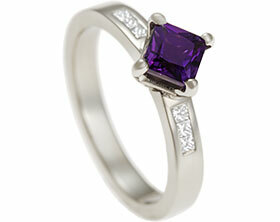 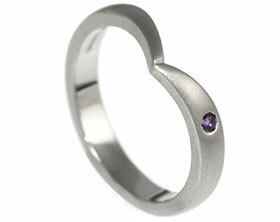 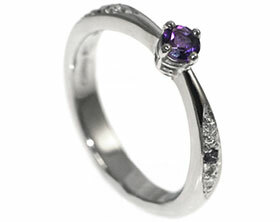 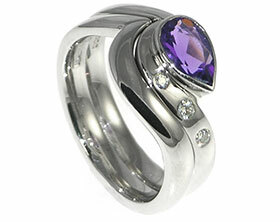 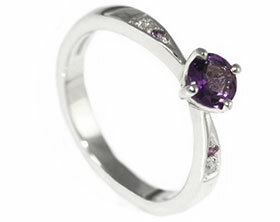 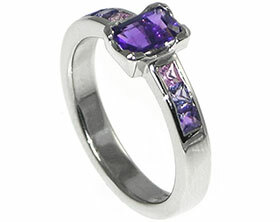 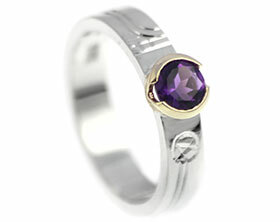 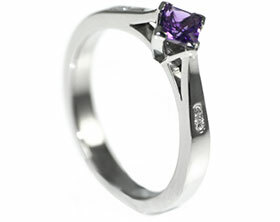 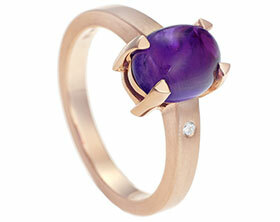 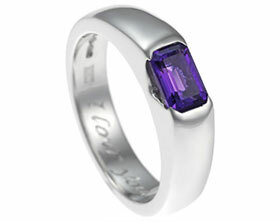 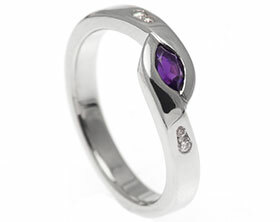 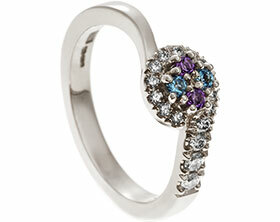 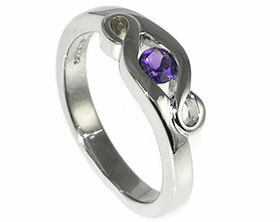 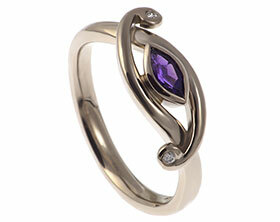 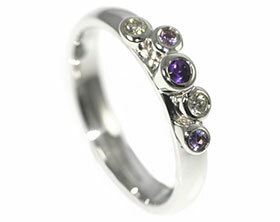 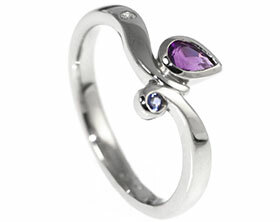 At the centre of Bev's dream ring is a 0.73ct brilliant cut Iris Amethyst. 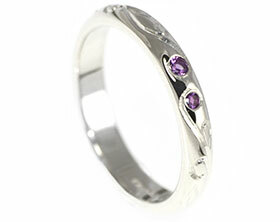 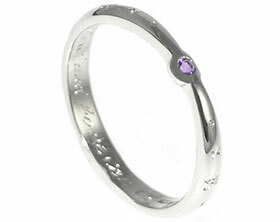 The 9 carat white gold band flows in an elegant twist around the striking stone to make the amethyst appear as though it is floating between the two sweeping arms. 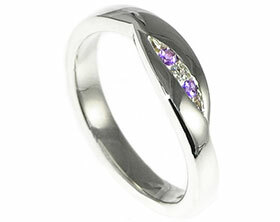 The hand worked ring has been given a polished finish.